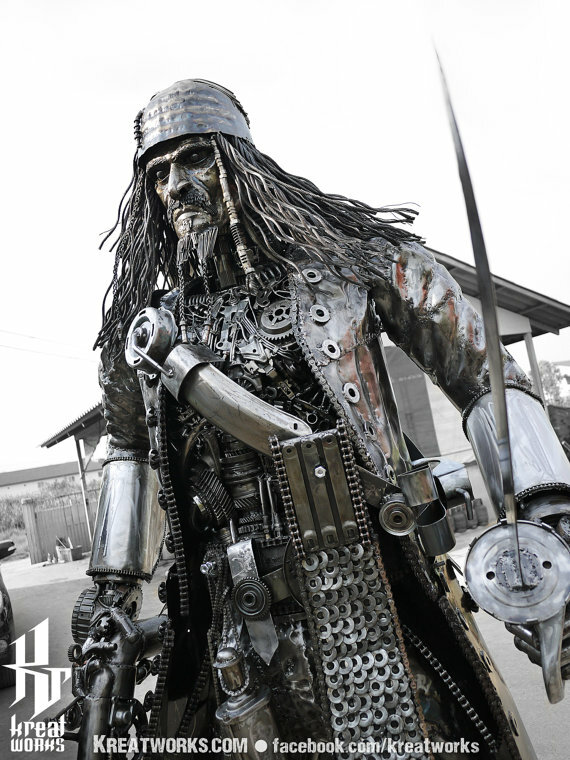 Avid steampunk fans, who also happen to be serious pop culture enthusiasts, would sure welcome the presence of a slew of sci-fi heroes standing tall in scraps of metal. 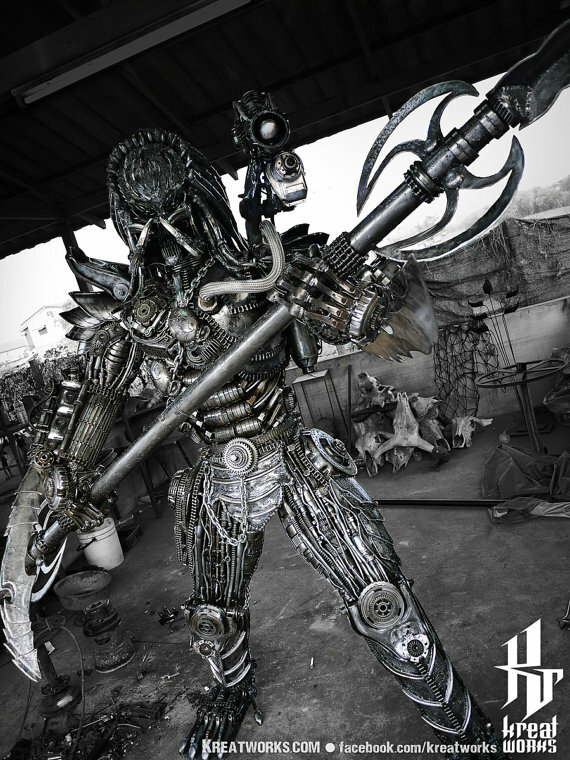 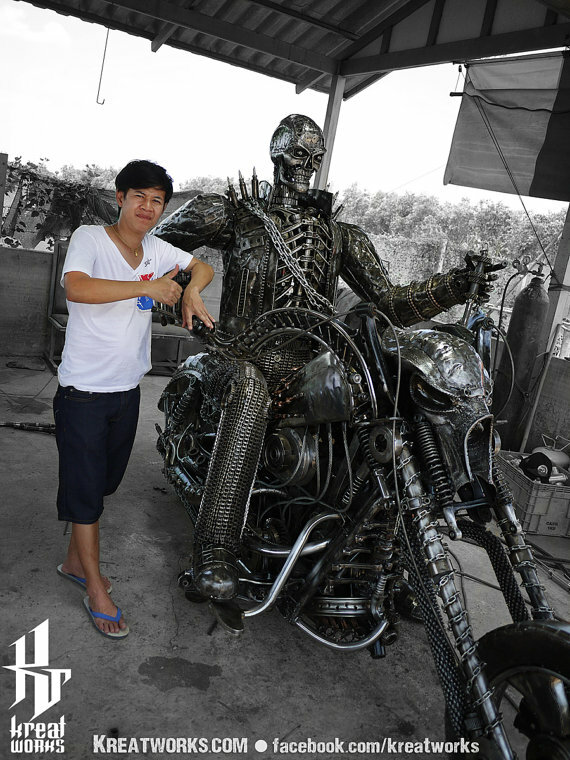 Created by Thai artist Sudjai and his team, the robotic sculptures utilize recycled metal, auto parts and scrap machines. 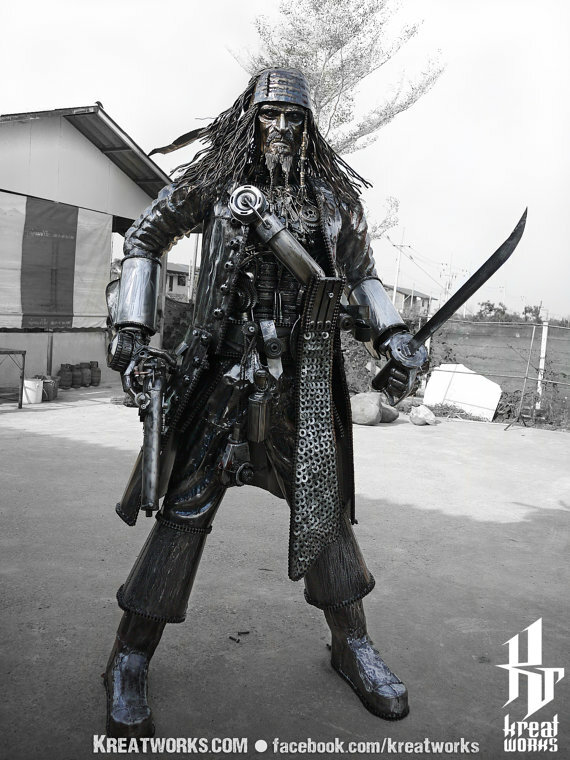 The lifelike steampunk sculptures include pop culture robots and aliens like Spiderman, Hellboy, Wall-E, Captain Jack Sparrow and Alien and Predator. 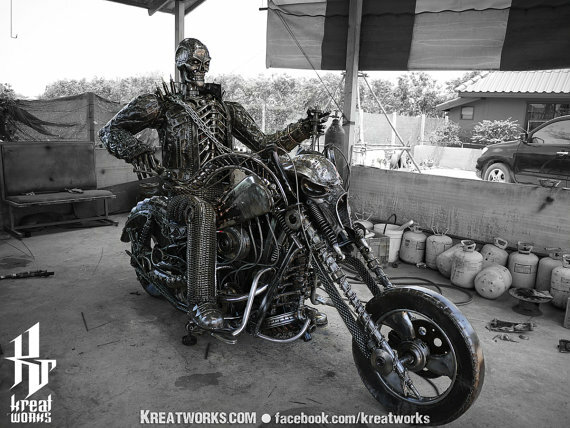 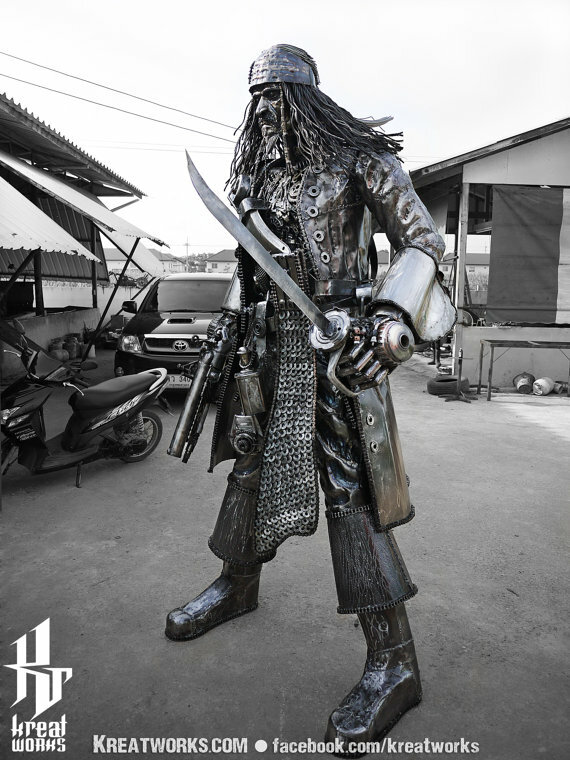 The Thai group of creatives has been running its steampunk and metal arts shop called Kreatworks, in Phatumthanee, for almost ten years now. 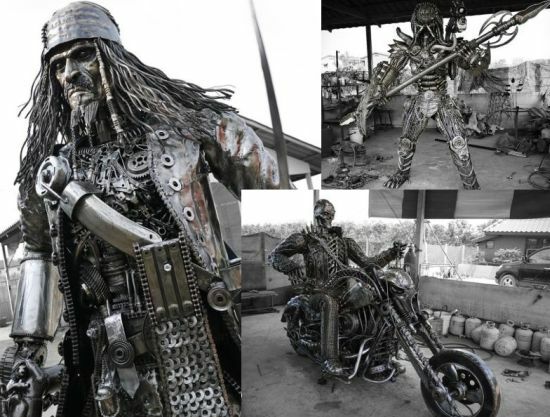 Their most recent sculptures include Recycled Metal Skull Rider, Steampunk Recycled Metal Pirate and Recycled Metal Fierce Warrior Hunter. 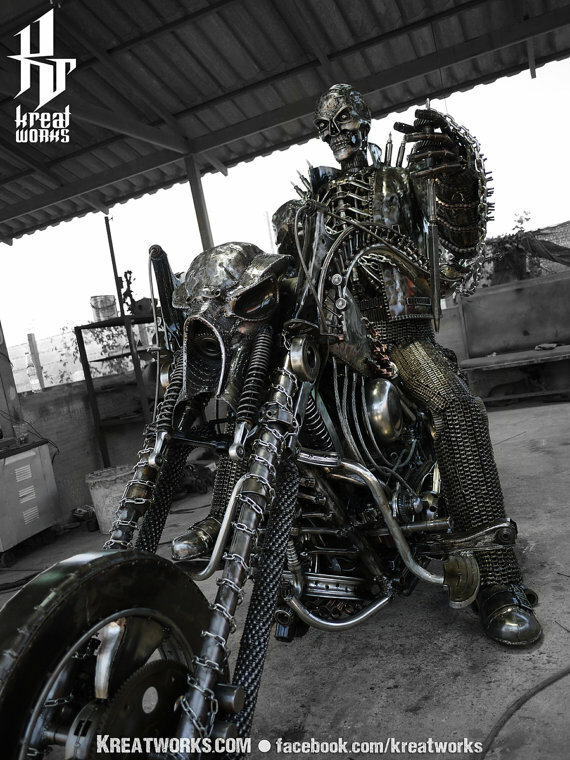 The Recycled Metal Skull Rider’s dimensions read approx 190 x 290 x 130 cm (height x length x width) and it weighs approx 500 kg. 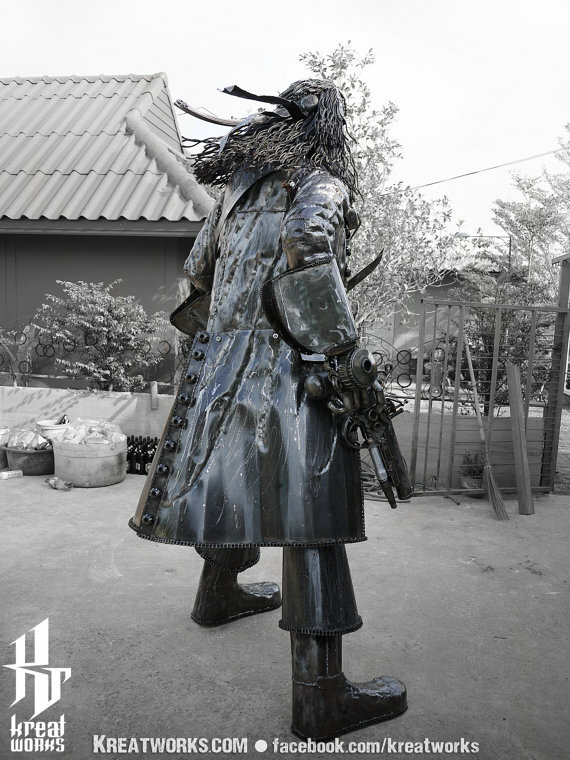 The second sculpture, i.e. 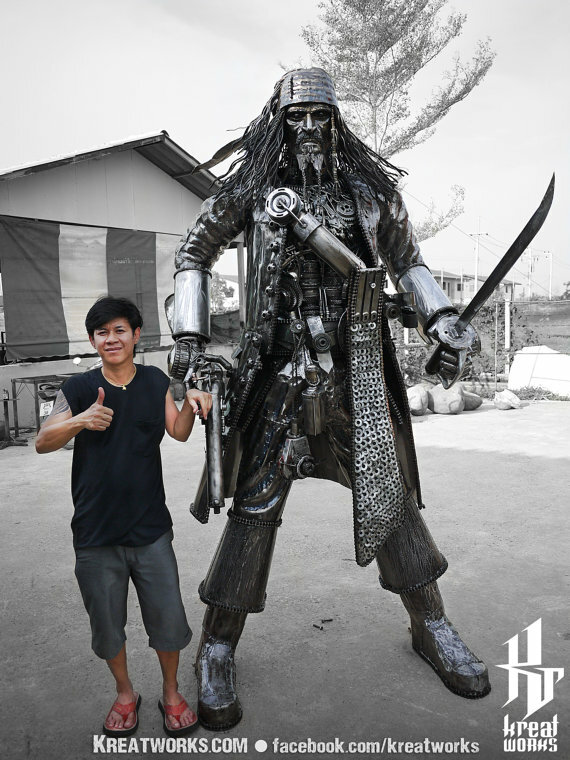 Steampunk Recycled Metal Pirate, is comparatively larger than the former, with its dimensions reading approx 250 x 100 x 120 cm; however, it weighs 450 kg only. 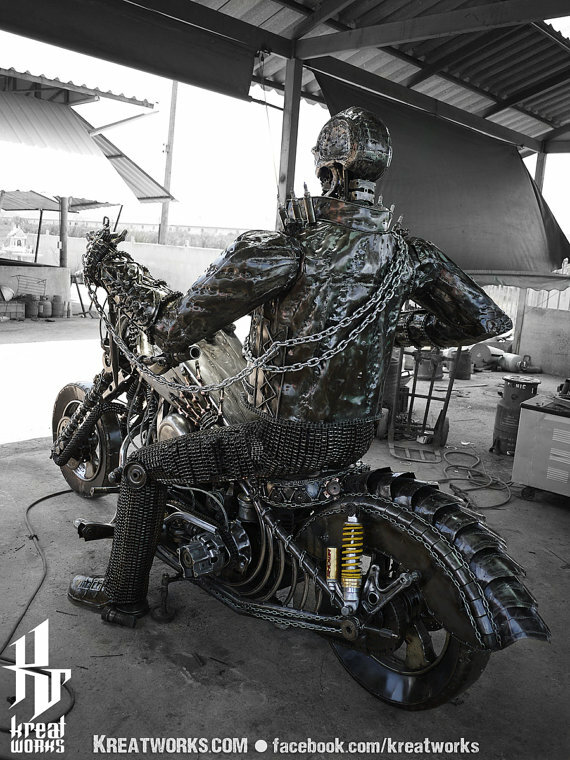 The final sculpture, i.e. 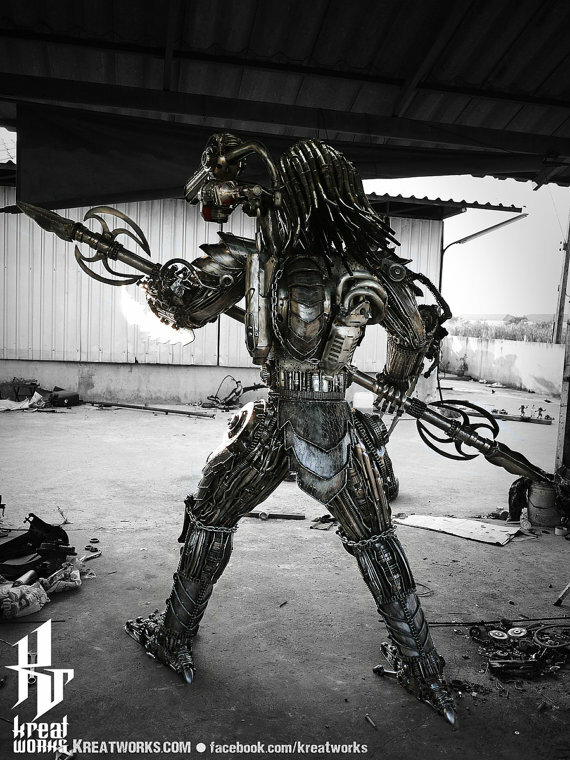 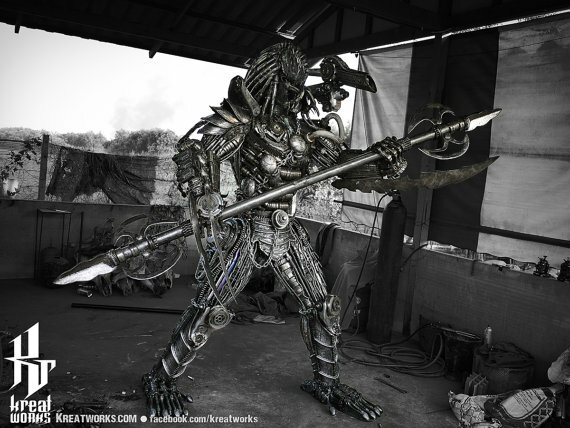 Recycled Metal Fierce Warrior Hunter, weighs 450 kg while its dimensions read somewhere around 240 x 190 x 270 cm (height x length x width). 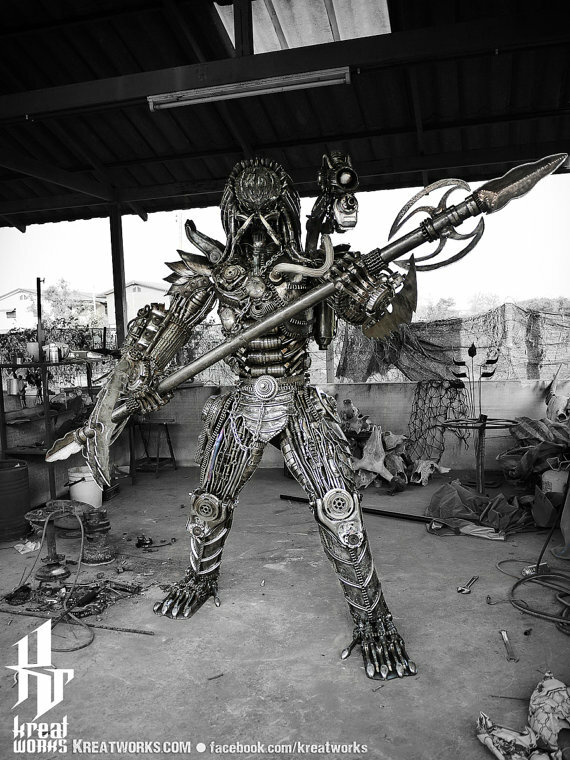 As previously mentioned, each of these sculptures is made from recycled metal and useless auto parts. 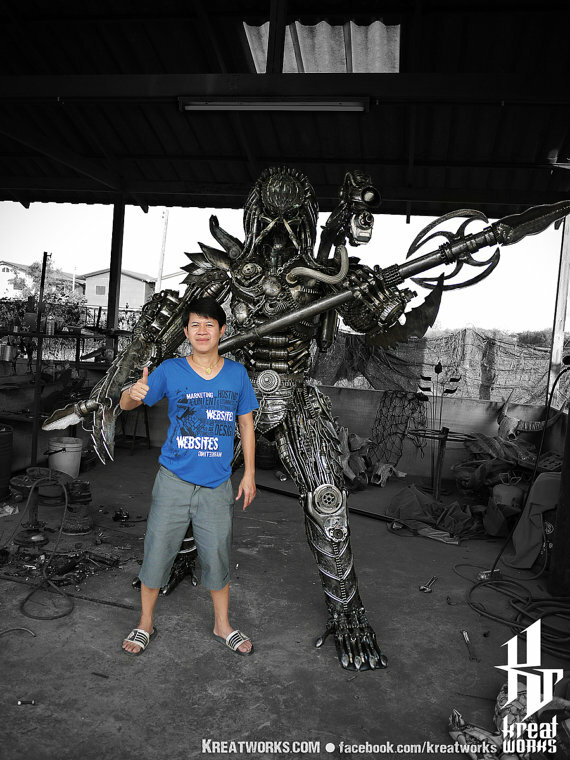 The sculptures are further coated with lacquer to protect them against rust. 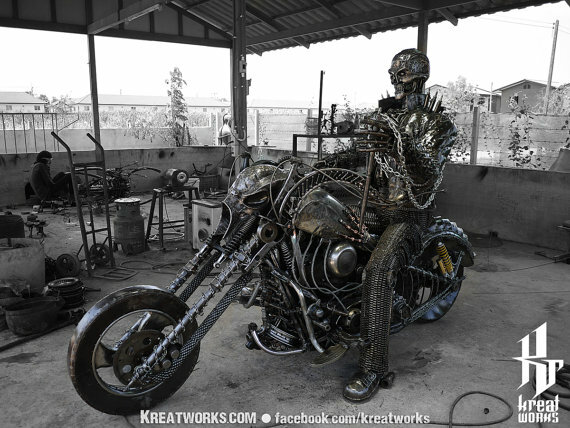 Priced at $14,400, $7,400 and $7,400 respectively, the steampunk sculptures are available at Kreatworks or Etsy.